A potentially catastrophic problem is surfacing in today’s engines. Here’s how AMSOIL has solved it. This scenario seems like all up-side for drivers. But today’s smaller, hotter-running engines pose significant challenges to lubricants. The latest is a phenomenon called low-speed pre-ignition (LSPI), also known as “super knock,” which can destroy pistons and connecting rods. Under normal operation, spark-triggered ignition is timed to work in tandem with downward piston momentum. 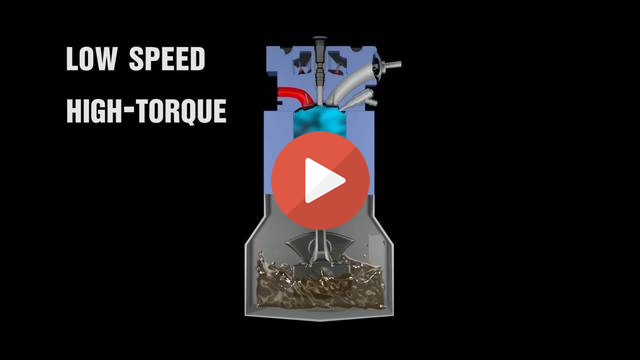 LSPI occurs when an oil/fuel droplet hiding in the piston crevice launches into the combustion chamber and ignites the fuel/air mixture too early. The resulting force clashes with the upward moving piston and can cause damage like that on the piston shown (left). Vehicle manufacturers know this is an issue and have programmed vehicle software to avoid LSPI-inducing conditions. Doing so, however, limits fuel efficiency. To extract maximum efficiency from their advanced power plants, OEMs will soon implement software updates that will increase the risk of LSPI. After the software installation, engines without the protection of a motor oil formulated to combat LSPI will be at greater risk of severe damage. AMSOIL has been hard at work preparing for these future OEM updates. Proving it can protect turbocharged direct-injected engines, AMSOIL provided 100 percent protection against LSPI in the engine test required by the GM dexos1® Gen 2 specification.